Writing a foreword to a unique, fascinating, and excellent book is a great honor. The honor is combined with the feeling of pleasure and satisfaction as the whole creative process, the original concept, the brilliant ideas, as well as the experimental work I have known from the very beginning. The execution of original ideas needs enthusiasm, insistence, hard work, and first of all belief in that the concept is correct. Dr. János F. László had original ideas, optimism, enthusiasm, and belief. He was a highly qualified physicist who approached the question of biological effects of static magnetic fields from the physicist’s point of view. He aimed at obtaining legitimate evidence on the biological effects of static magnetic field under both in vitro and in vivo circumstances. In addition, he and his coworkers, collaborators, colleagues were not satisfied with providing merely a description of the effect of static magnetic field, but tried to clarify the mechanism of action, the time-dependency of the effect, and the “dose-dependency” of the SMF-induced action. Why is this important? Static magnetic field (SMF) therapy is used by large numbers of people for self-care all over the world; however, the SMF dosage, treatment regimens, and mechanism of action have not yet been established. Therefore, it is of utmost importance to elucidate, first under experimental conditions, the mechanism of action, the optimal duration to SMF exposure, and the effective dosage. The research initiated, carried out, and permanently stimulated by János László focused on these unanswered questions. 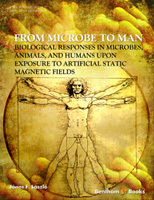 As the book quite adequately reflects, the analysis and examination of the biological actions of SMF were based on a well-designed systemic study. Experiments were carried out first in microorganisms (bacteria) than in mollusks, followed by mammals (mice and rats), and finally in humans. Thus, the book synthetizes the biological effects obtained from both animal and human subjects – and what is exceptional is that the outcome and conclusion were based on the author’s own results – as opposed to the data in the literature. The final goal of all the studies was to establish the potency, efficacy, and safety of SMF which are the basis of its human application. Consequently, the results summarized in the present book have not only importance for basic science but also for clinical practice. To my greatest sorrow, the preface cannot be finished by wishing the author further successful research and encouraging him to write the next volume about his newest findings. János László, shortly after finishing his excellent book, passed away leaving behind him many unanswered questions and unresolved problems. The present volume, however, will convince everyone that his oeuvre is complete, and this book which is based on wide collaboration of different fields of science will certainly constitute a determinant reference book for a long time in the field of magnetic field research. I spent almost 2 decades in the research field of controlled thermonuclear fusion, while being employed at the Technical University of Budapest, Hungary. Stellarators use very complex external SMF to keep the plasma focused inside the vacuum vessel. When facing the problem of SMF-exposure on living organisms, I felt predestined to contribute to this unique and challenging exploration. An SMF exists that has a clinically significant analgesic and anti-inflammatory effect, this response relies in the biology of the subject itself mobilizing its own defense systems in overcoming pathological conditions. Taking risks happens when strong motivation is at hand. I happen to have several. I wrote this book, because (i) I wanted to overview what we have done in the past 7 years in a concise form, (ii) I want to encourage fellow scientists to join us and share our efforts and victories, (iii) I am looking for sponsors who would provide sources for research but leave research independent. I am often asked by laypeople as well as professionals whether this or that jewelry, band, mattress, pillow, or disk including permanent magnets, available in the market would really “act” as pain-killer or anti-inflammatory device. Well, my best answer to that query is “I don’t know. They may.” My experience tells me that there are some arrangements, structures of permanent magnets that exert measurable (patho)physiological effects when living tissues are exposed to it. Such arrangements are discussed in this book, which makes up for the evidence-based part of it. The scientifically non-evaluated and/or non-reproducible experiments with other arrangements “may still act”. They certainly “act” at the psychosomatic level. The placebo effect induced by magnetic fields can rise up to 60%. Is this good or bad news? Placebo effect itself has a good reputation and an evidence-based foundation in medicine, and serves as one of the most effective therapeutical strategies in otherwise unmanageable diseases. It is inexpensive, it acts immediately, and it can have a long lasting beneficial effect. However, placebo also has side effects. Unfortunately, there's no such thing as a free lunch. A well-founded hope is slowly evolving that we might create a method for analgesia and anti- inflammation that is at least as effective as conservative options but may have fewer side effects and interactions. Is it really a surprise for the respected Reader that static magnetic fields (SMF) can affect a living object? An ever increasing annual number of publications reporting about evidence-based medical research prove that living objects respond to external magnetic fields in a wide range of frequencies. These results are briefly reviewed in the preliminaries of the chapters. However, I feel encouraged to concentrate on our own studies which provide the first pieces of evidence in some fundamental aspects of research that exposure to an external, artificial SMF can induce or assist certain (patho)physiological effects. This book basically covers all phases of studies regarding the effect of SMF-exposure on living matters starting from in vitro assays, through in vivo experimental tests, ending with human trials. In the beginning, though, I must be a little more technical in order to introduce the fundamental steps of medical device development to the Reader. Most of the developmental steps follow the rule: The stronger, the longer lasting, and the more prompt the beneficial response to SMFexposure compared to sham-exposure, the further we got with the optimization of the SMFproducing generator. In all honesty, I must admit that not all experiments provided evidence for the beneficial effect of SMF-exposure on the specific biological response tested. Even if a positive response was found, we were not always convinced that it was the exclusive action of SMF-exposure. Therefore, we had to differentiate between several options to the best of our knowledge. Is there really no effect that can be measured? Would there be an effect if we chose a more appropriate model? Can we still miss observability of an effect in a perfect model by superficial execution? These are concerns probably every researcher must deal with. However, we have never encountered a situation in which the exposure in the applied magnetic induction range and the applied short periods of time would have caused negative (that is harmful) main or side effects. Although the viability of a number of healthy microorganisms was tested in vitro, human lymphocytes and macrophages resulted in more interesting insight when SMF-exposure followed gamma-irradiation or lipopolysaccharide-activation. The Reader will soon realize that we spent most of our time with in vivo experimental research. The reason for this is that these tests have provided the most positive results; consequently, they were more applicable for device development. Within in vivo animal tests, we selected pain models in invertebrates and also in mammals, further divided into acute and chronic pain models, inflammation tests is mammals, as well as an allergy test. The human trials presented here must be considered incidental; nevertheless, they still open up new vistas of future research and development. I am personally proud to have succeeded in getting a little beyond the level of phenomenology by revealing some of the possible background mechanisms in action. It seems obvious today that a living object that has self-motion in an external SMF is subject to an induced timedependent magnetic flux and, consequently, to internal electric potential differences; however, the point whether these changes can be scientifically measured in the biological response is still open for discussion. A model is presented to physically correctly simulate and thus assess the generated magnetic potentials in rodents that move in an inhomogeneous SMF within geometric restraints. When designing a model to test SMF-exposure, the first consideration, contrary to therapy, is (i) to expect a positive result. This condition was unfortunately very effective in limiting the number of models. (ii) Science in general must advance Based on experimental results; such results have either not yet existed or if existed, were ambiguous. (iii) The result should have a clinical relevance. Other factors that have also played a restricting role were (iv) time- and budget-restrictions. (v) Also, a laboratory should be picked for the measurement that has a traditional practice in the field of the model. This choice provided further advantages: The experience in the lab furnished us with immediately comparable results to those achieved with other (mostly chemical) agents in the same model. (vi) We started with in vitro and in vivo measurements where the role of placebo (and other psychosomatic) effects could be minimized. (vii) We always aimed at (but were not always successful in) repeating the experiment in another laboratory in order to check reproducibility. Another important point in the choice of experiment was the (viii) level of hospitality of the host institute for a new and important research field. I have astonishingly positive experiences with this latter factor. Research in the field of SMF-induced or -assisted biological responses is a rather new, but very important and promising field with high expectations from both the research society as well as the average man. On one side of the topic is the knowledge we can gain from natural sciences: The method of nuclear core and electron resonance, the spectroscopy methods of molecular, even atomic resolution, and the quantum mechanics describing their operation. On the other side there is the knowledge we obtain from life sciences, where explanation is given on the level of receptors and enzymes. The imaginary tunnel of scientific cognition is bored from both sides. Although we are unfortunately far from joining the 2 bores, the present book hopefully serves as a step from the direction of receptors toward magnetic spins. Series in Mathematics and Life Sciences 1 (Antoniouk AV, Melnik RVN Eds. ), De Gruyter, Berlin, Germany, 2013, pp. 247-275. Recent Developments in Brain Research 1 (Pandalai SG Ed. ), Research Signpost, Kerala, India, 2012, pp. 1-43. 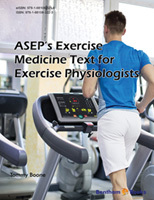 The Reader must be warned though that this book does not aim to summarize the complete craftsmanship accumulated about the medical applications of SMF-exposure, neither can it reveal all the gaps in knowledge. It certainly tries to untangle some areas that seem to be important from the clinical viewpoint. This book is not intended to be a review even if it contains a large enough amount of references to start a research in this field for a newcomer. 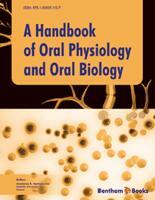 It basically accounts for the author’s own experience in life sciences during the past 7 years. Having a background in electric engineering and a history of almost 2 decades of university physics lecturing, the biology-related topics collected in this book come from the fresh aspect of a particular and positively skeptic “outsider”. By definition, a person is positively skeptic if he does not believe his own eyes, but is ready to learn, “to strive, to seek, to find, and not to yield” (from Alfred Lord Tennyson, English poet, 1809-1892). I personally take responsibility that every single statement I formulated in this book reflects evidence provided by our own experimental data, measured in the best possible way. Although double blinding could not always be carried out, we always strived after reproducibility.